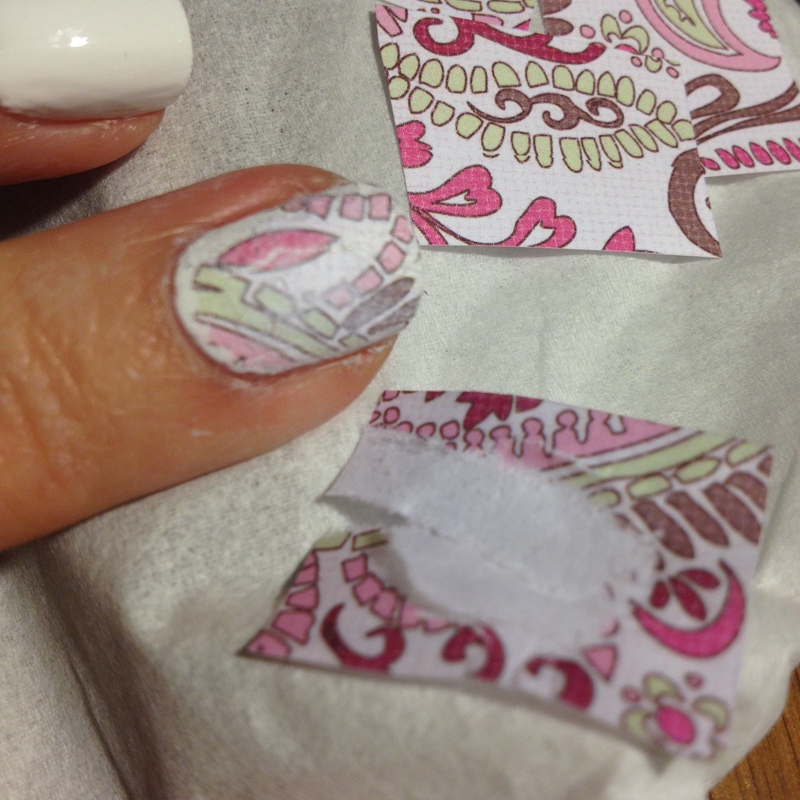 You know how you can transfer newspaper print onto polished nails using rubbing alcohol? (If you don’t know what I’m talking about, google “newspaper nails.”) Well, I started to wonder if you could just transfer ink from any paper onto nails with alcohol. 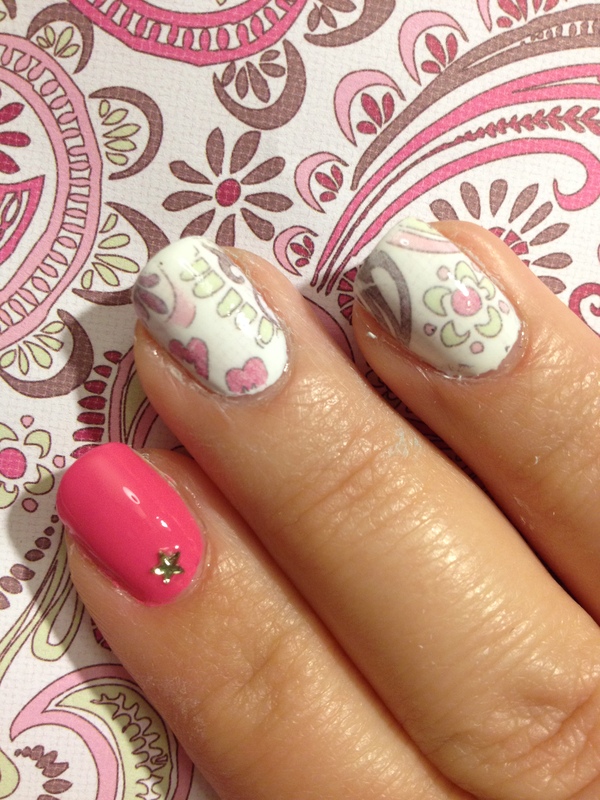 Specifically, I started thinking about how cool it would be to transfer the print from scrapbook paper onto nails. 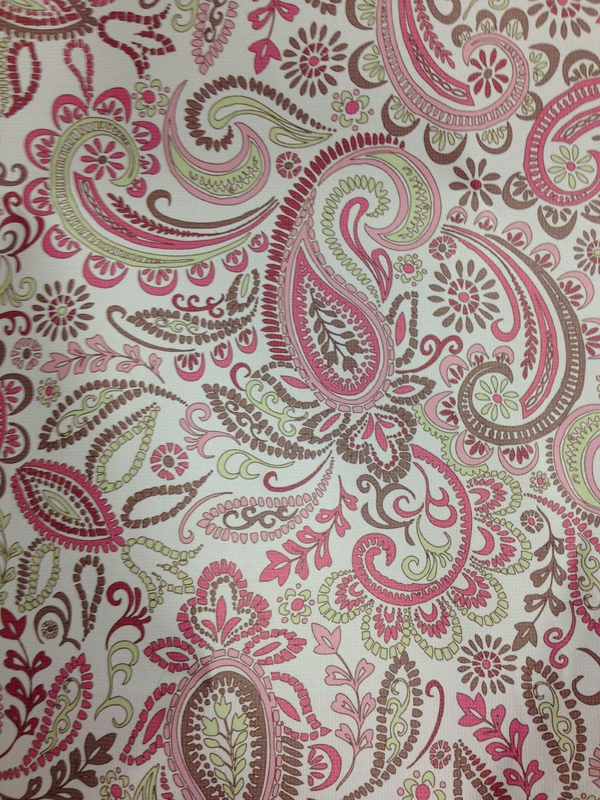 I mean, you can get a whole huge sheet of scrapbook paper for like, $0.59 at the craft store, which is way cheaper than any sort of nails stickers. When I first started thinking about this, I did a little searching online to see if I could find any info anyone who had attempted something like this. 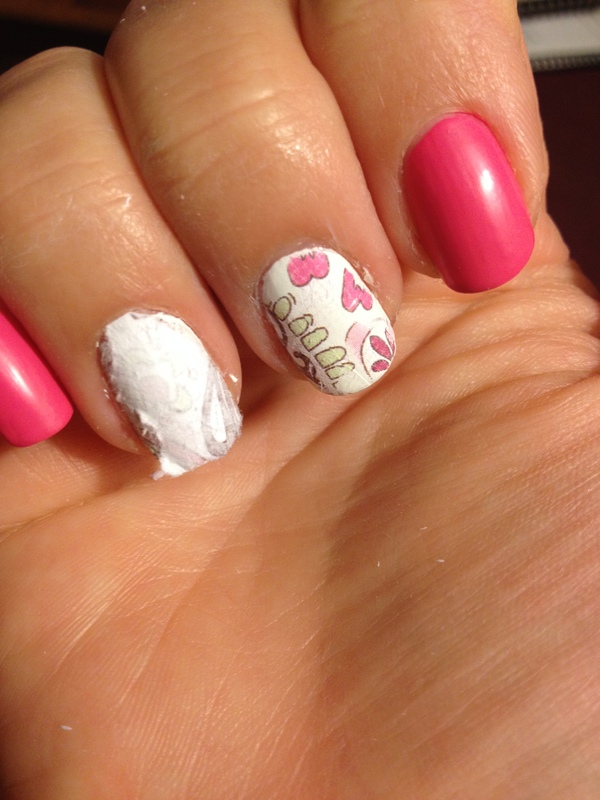 I did find some people who had printed out digital scrapbook paper and successfully transferred it to their nails. I’m a little stingy with my printer ink, though, and so I didn’t really want to pay for downloadable scrapbook paper and then use a million dollars worth of ink to print it out. Plus, I wanted an excuse to go to the craft store. So that’s what I did. 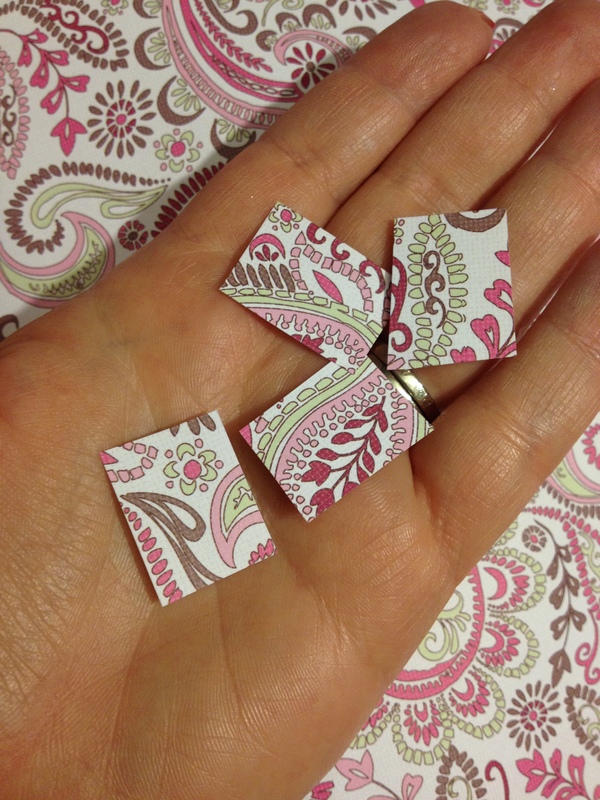 Then I cut out some little nails-size pieces. 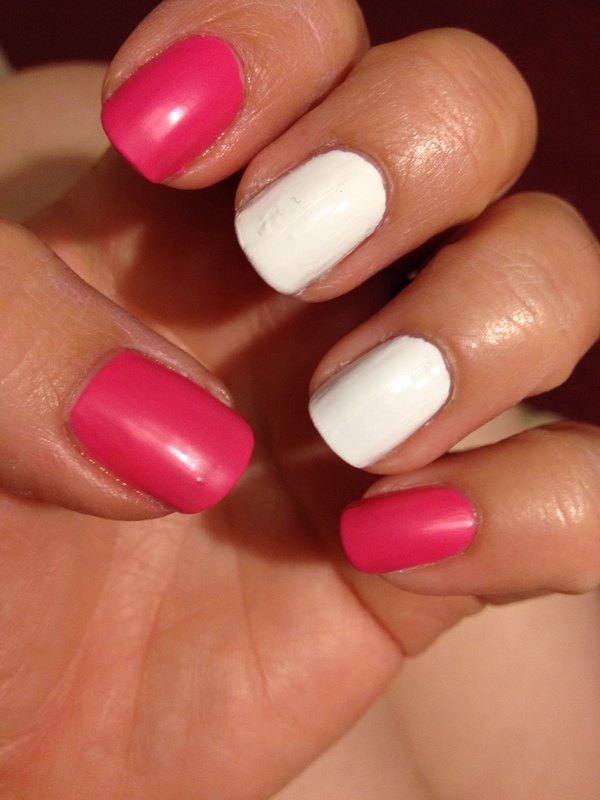 The pink is China Glaze – Peonies & Park Ave. It’s an almost-neon pink, and the more I wear it, the more it grows on me! I let my nails dry for about a half an hour before I moved onto the next step. 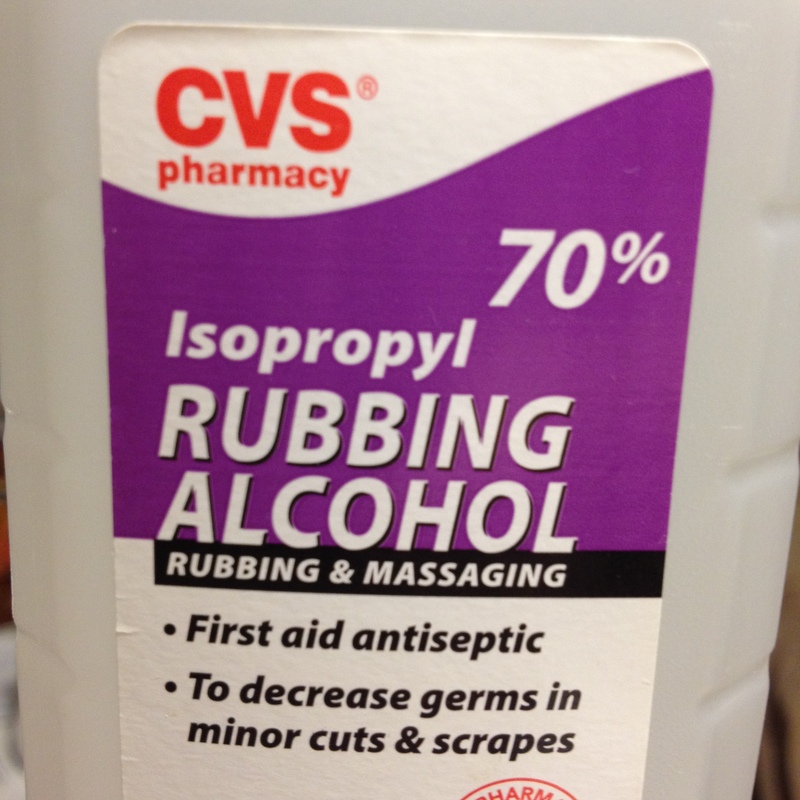 I poured a little rubbing alcohol into the lid. 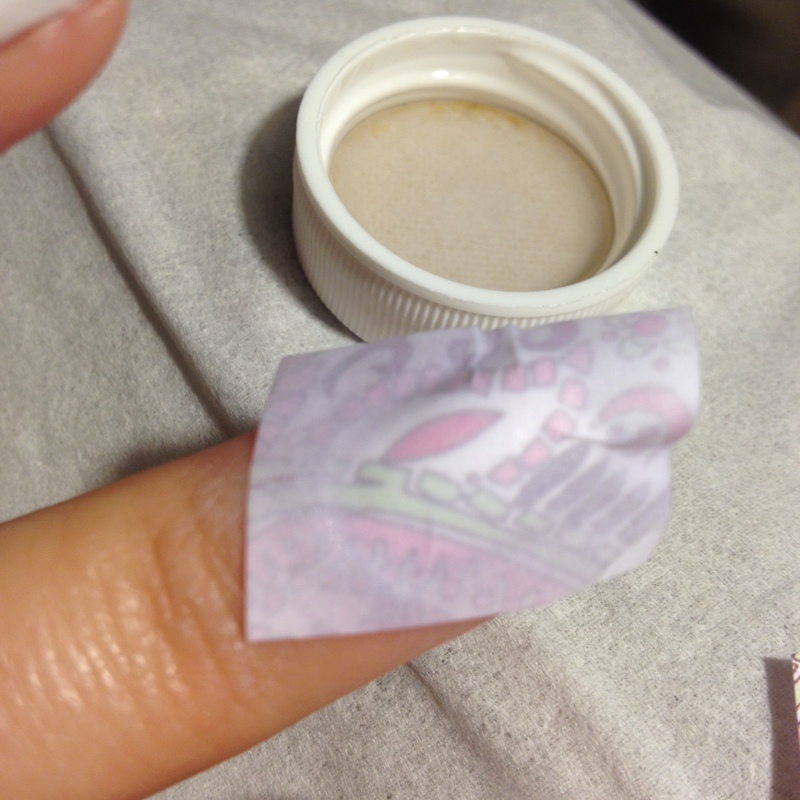 After a little trial and error, I found that it worked best to dip the paper into the alcohol and then press it print side down onto my nail and hold it for about 30 seconds. Really press it down well, especially around the edges of the nail. If it looked like it wasn’t transferring very well, I used a brush dipped in alcohol to re-wet the paper while it was on m nail and then I pressed it down a little longer. Here was my first nail! After removing the paper, there was often still some paper residue stuck on my nail. To remove that, I just made a finger on my opposite hand wet and gently rubbed the nail. The paper residue would sort of pill up while I was rubbing it, and I could easily brush it off. I was really careful while I was doing this so that I didn’t rub too hard and remove the ink. 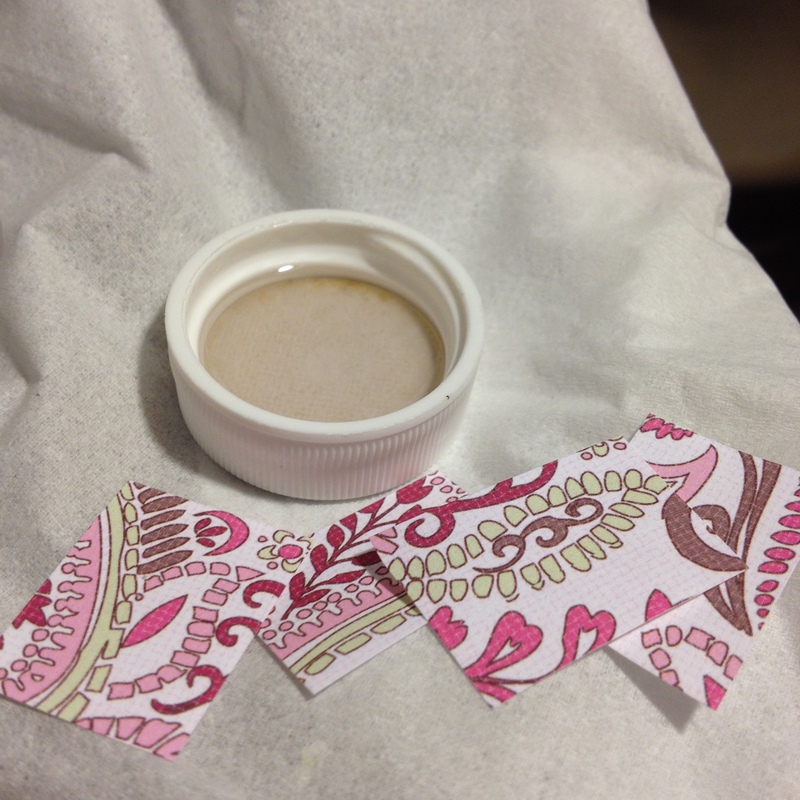 Once all of the paper was rubbed off, I applied Seche Vite top coat. Here are the finished nails on my right hand. 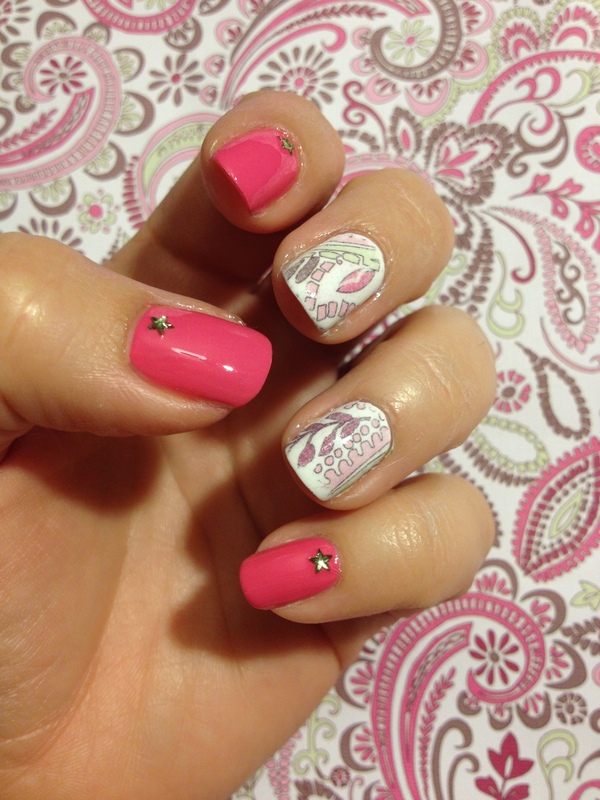 Oh, I added some stars to my pink nails.. While the ink didn’t transfer 100% perfectly, I am pretty happy with this first attempt! If you give this a try and figure out any tips along the way, please let me know. 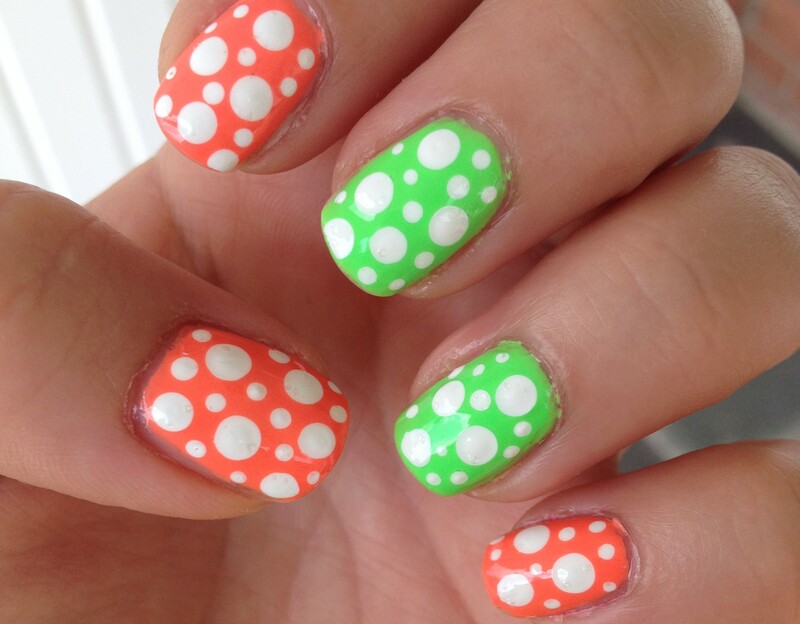 Make sure you post a picture on facebook or instagram and use the hashtag #polishmesnazzy so that I don’t miss it. Happy polishing !